HTC and Verizon have officially pulled back the curtain on the Droid Incredible 4G LTE. The phone's features are unsurprisingly identical to the specs leaked by Verizon last month. That means the device will feature a 1.2GHz dual-core Snapdragon S4 processor, a 4-inch qHD Super LCD screen with a 960x540 resolution, a 1700 mAh removable battery, NFC support, 1GB of RAM, and 8GB of storage that can be expanded by up to 32GB through a microSD card slot. An 8-megapixel camera with LED flash is on its back, capable of recording 1080p HD videos, while a VGA camera is in front for video chat. Music lovers will be pleased to note that Beats Audio is also featured. This enables richer sound for all of the phone's audio - from games to streaming music and video. 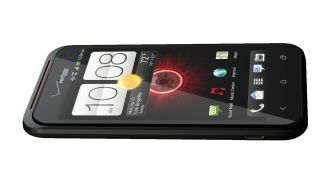 The Droid Incredible 4G LTE will also come pre-installed with Android 4.0 Ice Cream Sandwich, along with the latest in HTC's Sense 4 GUI on top. Of course, possibly the biggest feature is the support for Verizon's 4G LTE network. That should give it an edge to compete similar devices that are technically its superior. Competing Android smartphones such as the Samsung Galaxy Nexus and HTC's own One S and One X feature larger screens with higher resolution, with the One X and upcoming Galaxy S3 sporting more powerful quad-core processors as well. HTC refused to comment on the Droid Incredible 4G LTE's price and availability, telling TechRadar "specific release dates have not been announced," while Verizon said the device will be available "in the coming weeks." Verizon's leak last month suggested a $300 price tag with a two-year contract, putting it at the high end for Android 4.0 devices. But, given how the rest of the leaked information panned out as true, there is little reason to doubt that it will be the final price.